Jared Polis’ stubborn stance on single payer health care was covered in Politico over the weekend. And in spite of the massive a$$-kicking that the idea took at the polls in a ballot measure two years ago, Polis seems to think that he can re-brand the idea and somehow put lipstick on that pig. 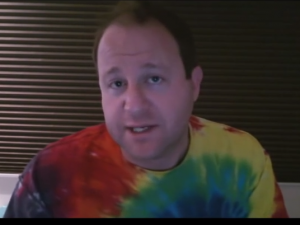 Now being called “Medicare for all” (we guess the word “Medicare” polled well), Polis is going to make socialized medicine the cornerstone of his gubernatorial campaign. Never mind that Colorado voted 2-1 against the idea, like any good Democrat, Polis thinks he knows what’s best for the rest of us. And we really mean “the rest of us,” because Polis’ family and their rich friends won’t be subject to such indignities as three month waits for an MRI, health care providers with the same attitude as DMV employees, and those pesky death panels. As we reported before, Polis co-founded a business that allows rich Canadians to escape their socialized medicine hell to the United States, or other developed countries to receive timely care. Add this to the list of extreme positions that Democrats are staking out this year – things like abolishing ICE, free college for all, and universal basic income. Emboldened by the echo chamber that Polis lives in, maybe he really believes that “Medicare for all,” or whatever he decides to call it tomorrow, is popular with Coloradans.